The Fresno State swimming & diving team opens its season hosting 2016 national runner-up Cal and its three Olympians as well as Nevada, San Jose State, and San Diego State in the Chick-Fil-A Invitational Friday and Saturday at the Fresno State Aquatics Center. "It's always exciting having the first meet of the season and we like to host it," Fresno State head coach Jeanne Fleck said. "Having great teams come to our pool is always really fun. We're starting out with a bang and having the No. 2 team in the country come to our pool is always a big honor but also a big hill to climb. We've been getting ready for this; the only way you get better is swimming the best people in the country." 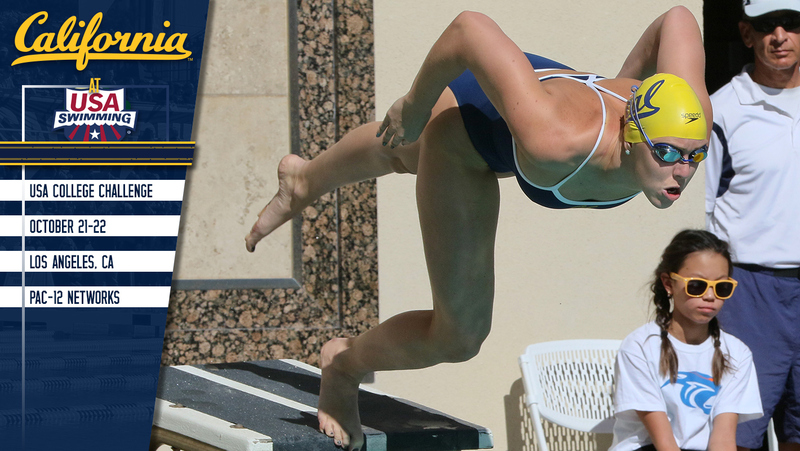 Cal finished as the national runner up to Stanford at the 2016 NCAA Swimming & Diving championships. 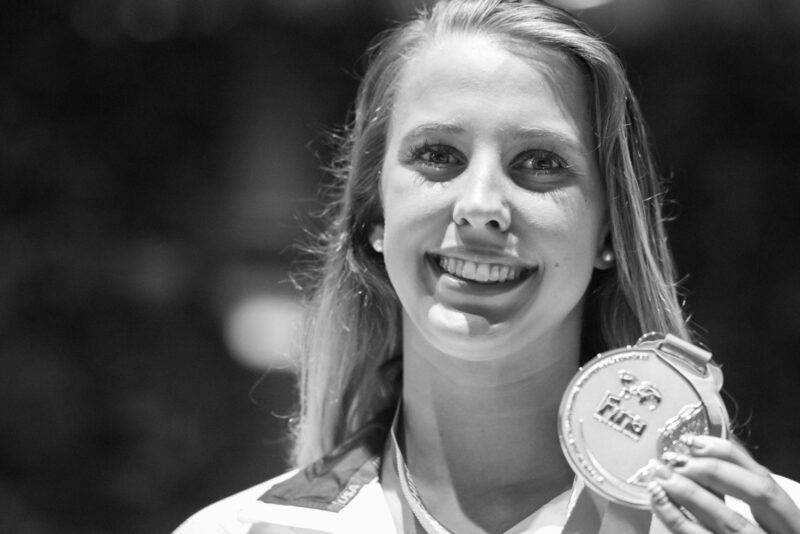 The Golden Bears have three Olympians on their roster, including 2016 U.S. Olympic champion Kathleen Baker. 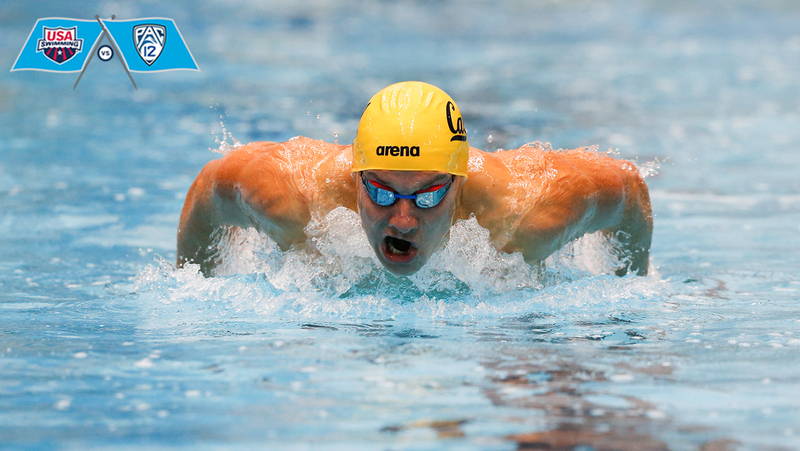 The junior won gold swimming the leadoff leg in the 400 Medley Relay and claimed a silver medal in the 100 Back at the 2016 games in Rio De Janeiro. She added five NCAA titles last year and was the College Swimming Coaches Association of America (CSCAA) National Swimmer of the Year. 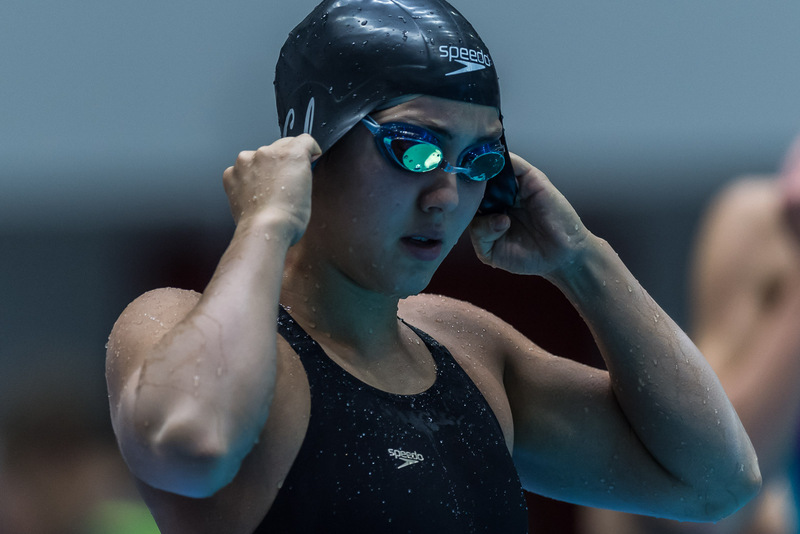 California senior Noemie Thomas represented Canada in the Butterfly at the 2016 summer Olympic Games and freshman Robin Neumann swam for The Netherlands in two freestyle events. Cal is coached by former Fresno State head coach Teri McKeever, who led the Bulldogs from 1987 to 1992 before joining the Golden Bears. The invitational begins at 11 a.m. Friday with two sessions and will conclude with a third session starting at 10 a.m. on Saturday. There will be 18 swimming events over the two days while both the 3-meter and 1-meter diving competitions will take place on Friday. I don't think Cal's ever been in a dual meet with NC State, it'll be interesting because LSJU is also having a dual with them. Rosters have now been published. Would have loved it if current Bears Amy, Sarah Darcel & Ryan Hoffer + alums Dana, Nathan & Tony had also been included, but otherwise a pretty decent Cal representation here. Headlining the National Team roster will be last two Olympic champions in the men's 100-meter backstroke, Matt Grevers (Lake Forest, Ill./Tucson Ford Dealers Aquatics) and Ryan Murphy (Jacksonville, Fla./California Aquatics). Eleven U.S. Olympians will compete for the National Team, including fellow 2016 individual medalists Cody Miller (Las Vegas, Nev./Badger Swim Club) and Josh Prenot (Santa Monica, Calif./California Aquatics). 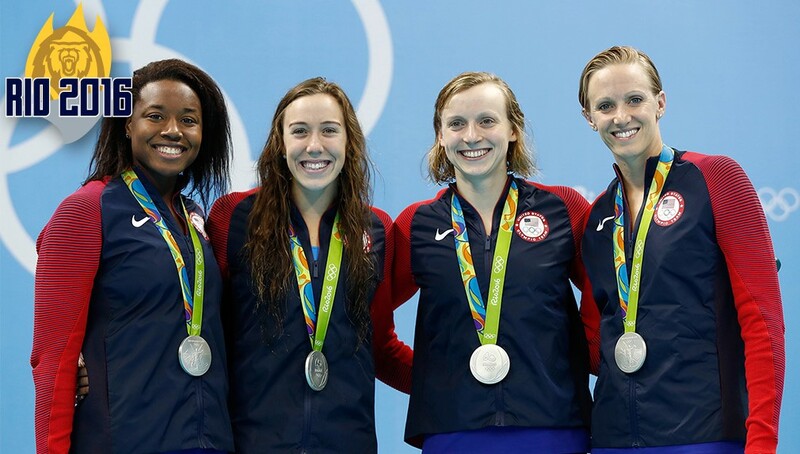 On the Pac-12 side, the Stanford duo of Katie Ledecky (Bethesda, Md./Stanford Swimming) and Simone Manuel (Sugar Land, Texas/Stanford Swimming) lead the roster along with 2016 Olympic teammates Kathleen Baker (Winston-Salem, N.C./California Aquatics) and Abbey Weitzeil (Saugus, Calif./California Aquatics). Lots of encouraging results - but plenty of hard work to be put in at the same time. Also wouldn't take my first impressions below too seriously lol - it's the start of the season, our swimmers are no doubt quite beaten up from their intensive training, everyone here getting an opportunity to race a stroke or two which they may be less familiar with. The frosh are still adjusting to their new coaching, teammates & environment, not to mention trying to figure out racing in yards for some hehe. Our pair of international freshies off to a great start - Sarah on her game in the IMs and also showing her range & versatility in her fly, breast & free individuals + relay legs ... Robin fairly sharp in her frees but also demonstrating that her backstroke isn't too shabby either. Looking to be an upgrade on (the excellent but graduated) KV in the 800 Free relay come March, thus freeing Abbey to strut her sprint prowess in the shorter relays. Ali decent enough in her breast, with room for improvement if aspiring to comfortably replace Abbey in that medley relay leg to confidently vie for a national title. Was quite impressed by Ali's exhibitioned 100 fly time. Other froskis doing more than alright for competing in so many events, taking on off-stroke races and a workload that they may not be accustomed to from their HS days. Thleen on top of her game in general. Amy looking great in her free, but perhaps a bit of a slower start to the season on her backstroke (her stress fracture possibly still bothering her??). Abbey & Katie solid if not presently quite up to their massively stratospheric standards (all relative of course, they are such studs! ), but I'm confident all their hard work will pay off when it comes to crunch time. Chenoa & Keaton versatile as expected. Jaz showing signs of returning to her former form, really hope she can go out with a bang in her senior year. Noemie had quite a wicked fly split in the 200 Medley relay - does have a history of being fast in her fly early in the season...here's to Nono keeping up that momentum when NCAAs rolls around! Oh the divers are looking good, in particular Briana & Alexa! Jasmine Mau and the Bears finished off a strong weekend in Fresno Saturday. The grind doesn't let up either...onto a road trip to Ute Natatorium on Monday - dual v. Utah @ 2:30 pm! SALT LAKE CITY The University of Utah women's swimming and diving team will host the No. 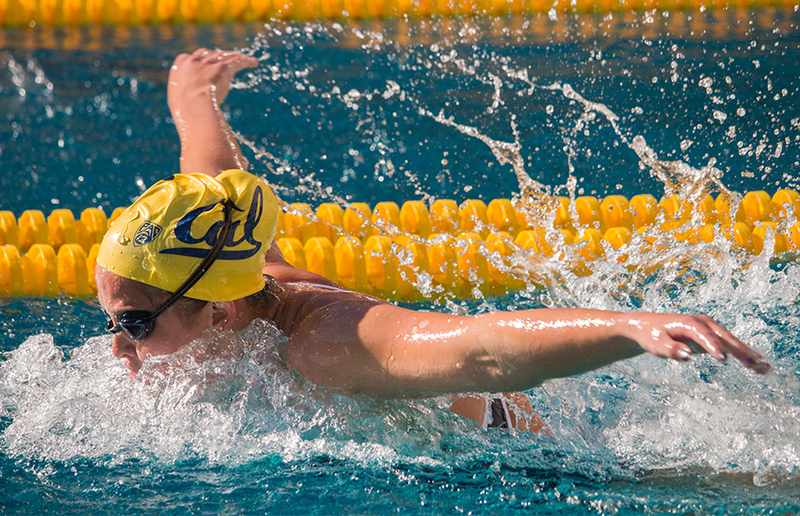 2 Cal Bears this coming Monday, Oct. 9 at 3:30 p.m. in the Ute Natatorium. "We are very excited to go up against second-ranked Cal on Monday," head coach Joe Dykstra said. "It is obviously a huge challenge to go up against a roster full of Olympians and National Team members but we are looking forward to the challenge of competing against the best of the best. I felt great about how we looked in the relay exhibition against BYU so now we need to translate that over to a dual meet format with longer events." 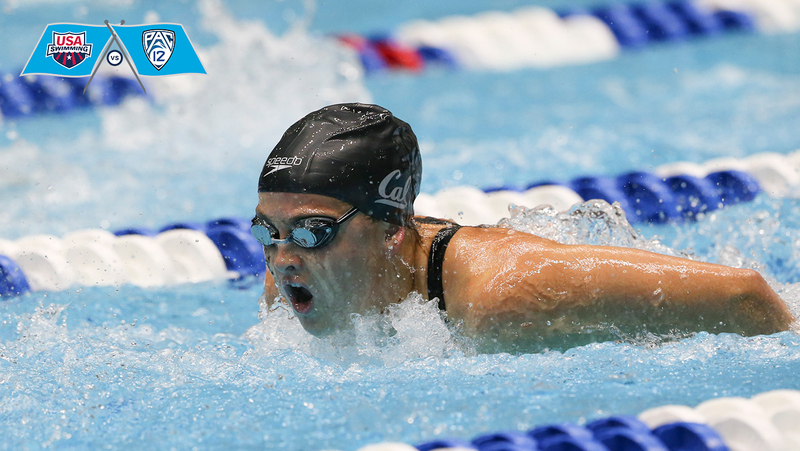 Led by CSCAA National Swimmer of the Year Kathleen Baker, Cal finished as the national runner-up at the 2017 NCAA Championships - the ninth year in a row the Bears have placed among the top three. Baker captured three individual events - 100-yard back, 200-yard back and 200-yard IM - and set a pair of school records along the way. Cal also prevailed in the 200 free relay (for third year in a row) and the 200 medley relay. 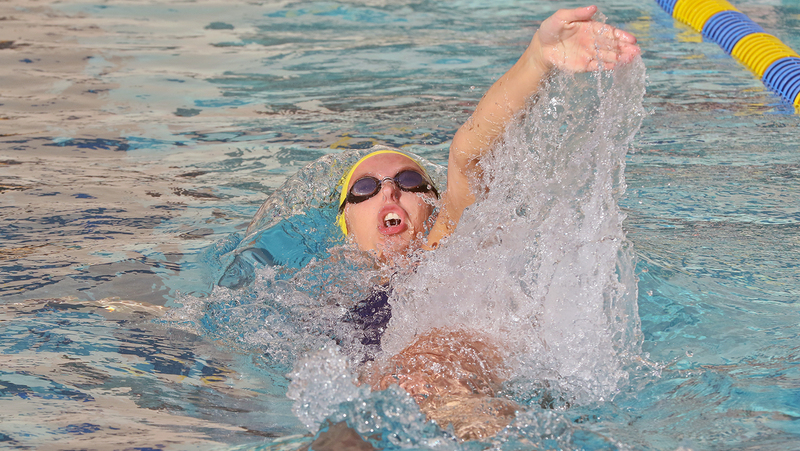 Cal returns 18 members from its 2016-17 squad including six All-Americans - Baker, Amy Bilquist, Katie McLaughlin, Maddie Murphy, Noemie Thomas and Abbey Weitzeil along with four more swimmers who also qualified for the national meet - Keaton Blovad, Chenoa Devine, Valerie Hull and Phoebe LaMay. Will be interesting to compare their respective development throughout the course of their NCAA careers - I'd naturally be cheering for Robin all the way - Go Bears! Don't know if this has already been mentioned, but Megan Byrnes was on crutches when the furdettes were being recognised & feted at their football game v. ASU on 30 Sept., still in a knee brace just yesterday. Really hope that she is OK and wish her a smooth & painless recovery! Looks like a fairly compact travel squad for this dual - no Abbey, Thleen, Katie ... no Elizabeth, Alexa B, Alexa S-N, Dannie, Anina, Courtney or Natalie... just 2 of our divers competed: Briana & Alexa C.
Furdettes had also basically fielded their 'B' squad here - absent Ledecky, Eastin, Hu, Drabot & Forde who are competing for the Pac-12 team v. National Team down @ USC the following evening, whilst Manuel & Byrnes are currently sidelined due to injury. 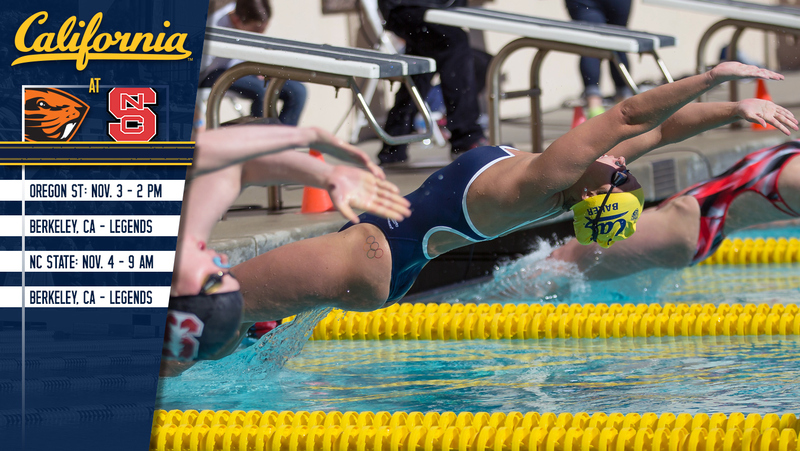 Sophomore Maddie Murphy captured the 50 free in Cal's win over Utah Monday. Looks like a fairly compact travel squad for this dual - no Abbey, Thleen, Katie, Elizabeth, Alexa B, Alexa S-N, Dannie, Anina, Courtney or Natalie... just 2 of our divers competed: Briana & Alexa C.
Any idea if the Utes sat out some of there star swimmers too? Looked at Utah's Pac-12 'ship performance last year there were minimal B & C qualifiers and don't think there were any A qualifiers. Most of the B qualifiers did compete Sunday and didn't perform well though at this time of the year but squads are still in training. What seniors that was held out by Utah doesn't compare to the ours and don't think the score would had been much closer. 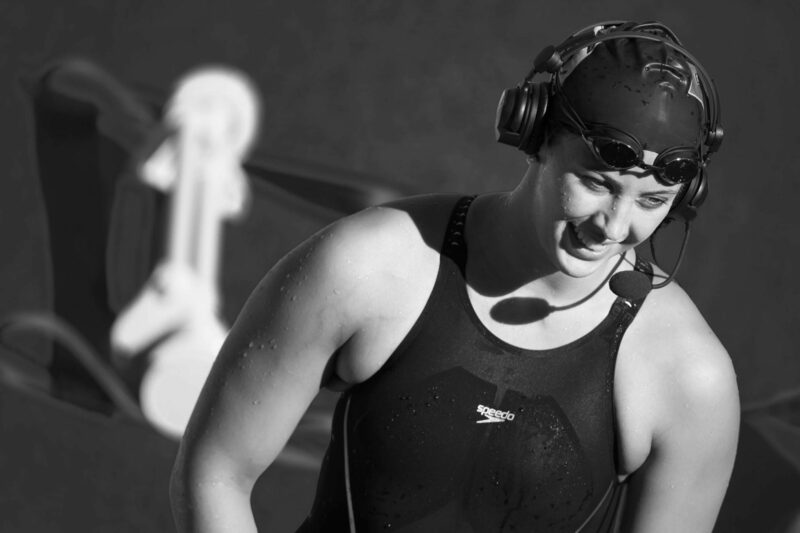 Kathleen Baker of California and Ella Eastin of Stanford would each win three events, including a tie in the 200 IM. Stanford will take four of the five relays, only missing out on the 200 medley relay victory, which will go to Cal. The Pac-12 squad will be the heavily favored on the women's side with Stanford's duo of Katie Ledecky and Simone Manuel being at the top of their game (I don't know why they have not turned pro yet) in addition to Cal's Kathleen Baker. Crikey, some incredibly FAST times being put up tonight at the SMU Classic! 'SC v. Michigan v. Louisville v. UCLA v. Miami (Florida) v. SMU, in a unique format. Still in progress, and I'm sure SwimSwam will be coming out with some massive headlines about this event shortly haha...but this one really grabbed my attention - i.e. 2 NCAA 'A' cuts going down in mid-October!!! At this rate, 2018 NCAAs is oooh promising to be so excitingly & wickedly swift!!! Tho keep in mind that the swimmers at this meet are probably suited up, even if they may be un-rested & unshaved. They were sporting racing or tech suits last year. To put Comerford's swim in some context, that time of hers today would have been good for 5th place in the A final last March, trumping Leah Smith's 1:42.66! 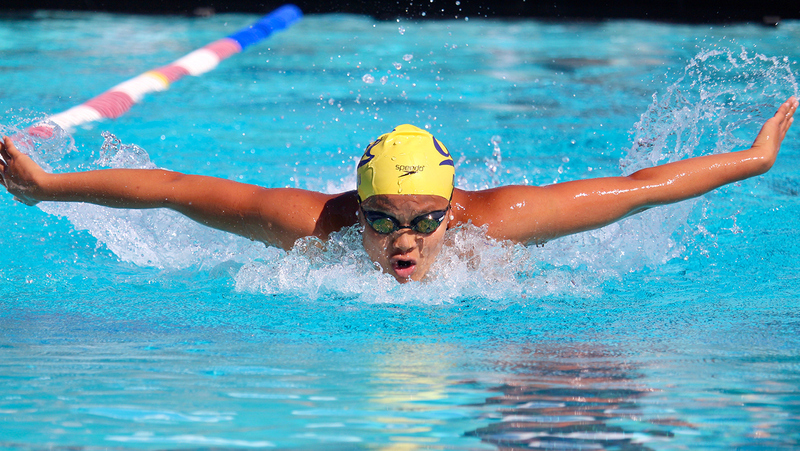 Arina swam a very decent 1:46.42 in the 200 Free - worth a 'B' cut. Also a 1:45.80 split with a flying start on Louisville's 800 Free Relay. Michigan earned their 'A' cut (7:03.86) in the 800 Free Relay, with a strong 7:00.71 - that time would have placed 14th @ 2017 NCAAs!! Tho this is akin to comparing apples & oranges, our own squad of Thleen Bean, Keeks, Robin & Katie had accomplished a solid time of 7:24.60 on this relay at the Fresno State Invite last week. 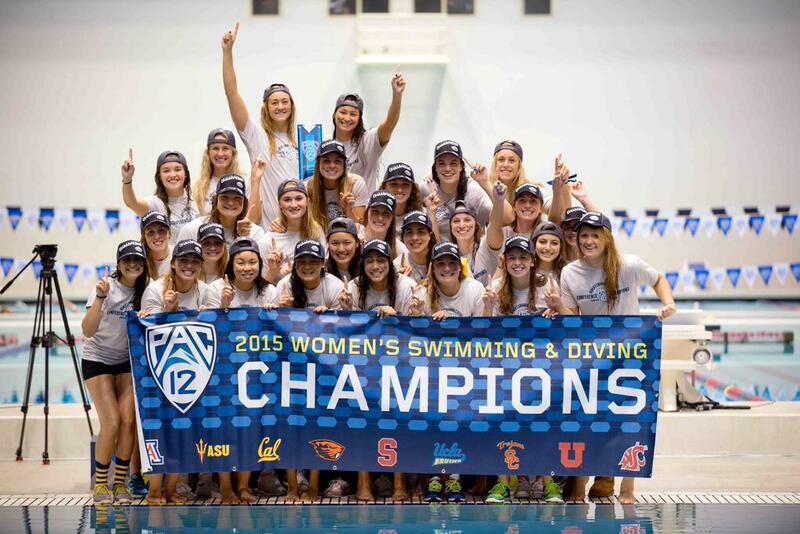 The Pac-12 is far and away the most dominant conference in NCAA Division I women's swimming and diving competition. 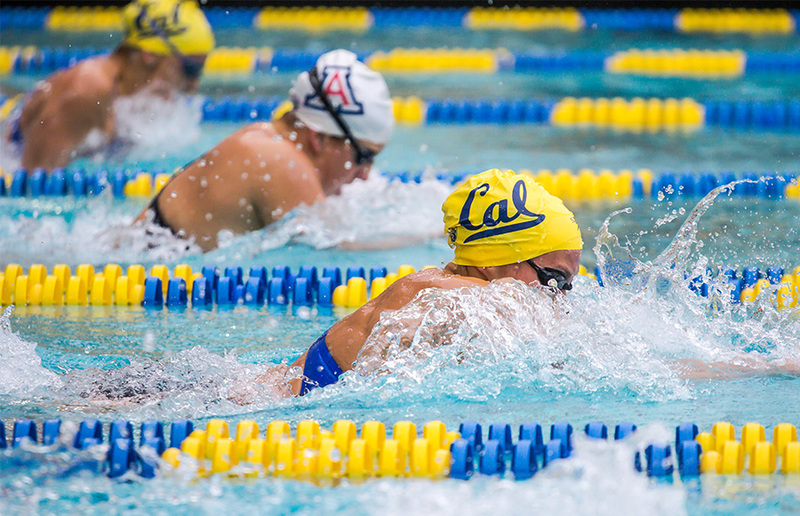 Over the past decade, the Pac-12 has led the NCAA in women's swimming and diving champions nine out of 10 years, amassing 111 out of 211 total event winners, with the other 100 being split between the other conferences. The Pac-12 is also the only conference to have at least one event winner in each of the past ten years. The other Power Five conferences each had at least one year in which they did not have a single event champion. NCAA 'A' cut for Thleen in both the 200 Back & 100 Back, the latter from her leadoff in the 400 Medley Relay, where Abbey had put down a scintillating 46.98 split on anchor! NOTE -> The audacity of it all, listing Andrew Seliskar in the above tweet as hailing from the farm?!!!! Abbey's 21.63 in the 50 Free earns her an 'A' cut! (2018 NCAA 'A' standard = 21.80) Abbey was 5th @ 2017 NCAAs with her 21.58. Thleen's 1:53.24 in the 200 IM earns her a 3rd 'A' cut! (2018 NCAA 'A' standard = 1:55.00) Would have placed 4th @ 2017 NCAAs. Abbey Weitzeil: "Mixing up the teams, you get to know people you normally wouldn't get to know. It's been a lot of fun." Granted that everyone was suited up at this meet, unlike most other duals & invites this early in the season, so the present rankings aren't all that indicative or predictive of where swimmers will stand at the big dance. OTOH, the majority of the Pac-12 contingent weren't all that rested if at all here (having phased into heavy training to start building up their base for when it really counts in March). The SMU Classic a week prior had also afforded the heavy-hitters from U$C, Michigan, Louisville etc. a nice opportunity to suit up and rack up a slew of impressive times, so some (very limited) comparisons can still be drawn. Of greater import IMO are the valuable 'A' standards or automatic NCAA invites which have been secured by our pair of uber Bears above. Well done all - swim on you Bears! Having said that, deserved recognition should also be afforded the very impressive swims busted out over the weekend by superstars like Ledecky, former Bears recruit Eastin & their furdette cohort (ex-Cal recruit Drabot with strong performances in her 500 Free & 800 relay, Hu in the backs & relays), ex-Bears recruit Cox for Zona, former tedbear fave Aroesty w/Trojanette teammate & Bay Area local Scott, alongside several other lower-profile Pac-12 studs. 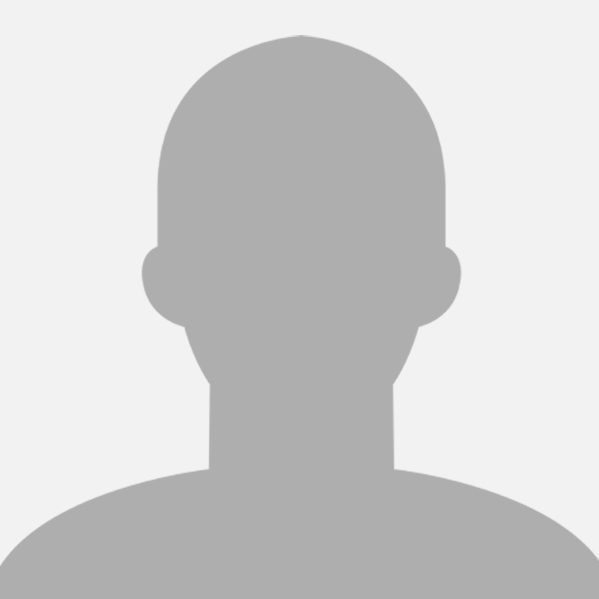 Not to forget 2020 top recruit Regan Smith who we're all fervently keeping our fingers crossed will follow in the footsteps of Missy, Thleen Bean, Billy aka Amy, Bootsie, Lizzie, Cindy & Melanie, i.e. 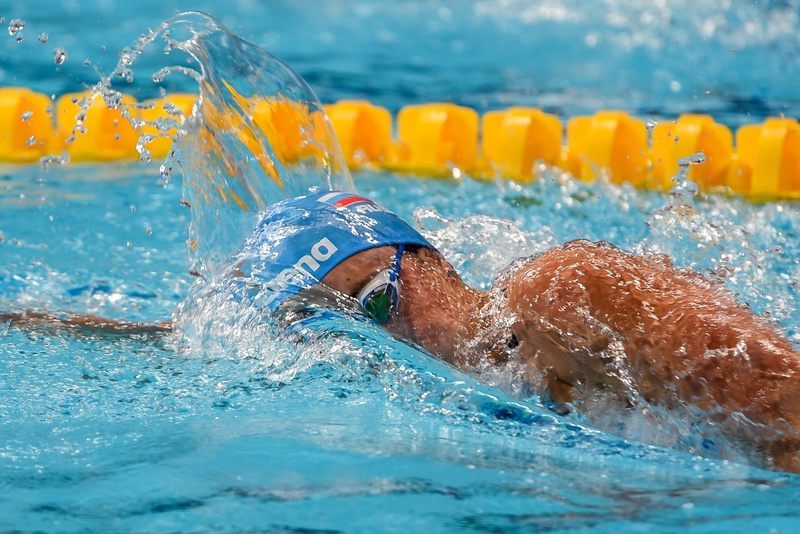 -> Backstroke U. Back to NCAAs - the bar seems to have been raised really high very early into the 2017-2018 season, the level of competition promising to be even more intense than usual this year, and all signs pointing to a phenomenal challenge & thrilling Nationals come March - even if the furdette juggernaut is generally expected to steamroll over all the competition! Er, no surprise that Bears are massively under-rated, once again. However, these CSCAA rankings from in-season duals are, IMHO, basically a load of tosh...the only one which really matters to Teri and our Bears is the very last one in March - at the conclusion of NCAAs! 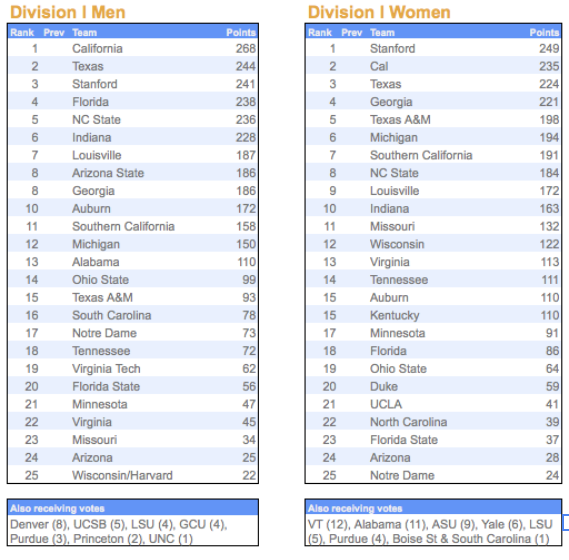 We have this discussion every season, but a dual meet ranking is pretty meaningless for both Cal programs. Based on Teri's and Durden's prior accomplishments, neither team is measured on dual meets. Primary focus is NCAAs with a secondary focus on Pacs. That being said, women's team is underrated at 9 (should be 3 for NCAAs and 3 to 5 for duals); men should be ranked 2 for both. Seem to recall we had a similar discussion at around this point last year. Bears were hovering between the #4 & #5 position in both the CSAA polls + CollegeSwimming rankings for pretty much the first half of the 2014-2015 season, whilst Georgia was rated #1, with Stanfurd, Texas & SC fighting for the spots immediately behind UGA back then. Any of the usual suspects planning to attend the home opener v. OSU this Friday afternoon @ Spieker (2 pm)? Or the home dual v. NC State on Sat @ Legends (9 am, yikes! )...perhaps as a warmup for the fb game? The 2 visiting teams will also face off against the furdettes, a day earlier than v. Bears. 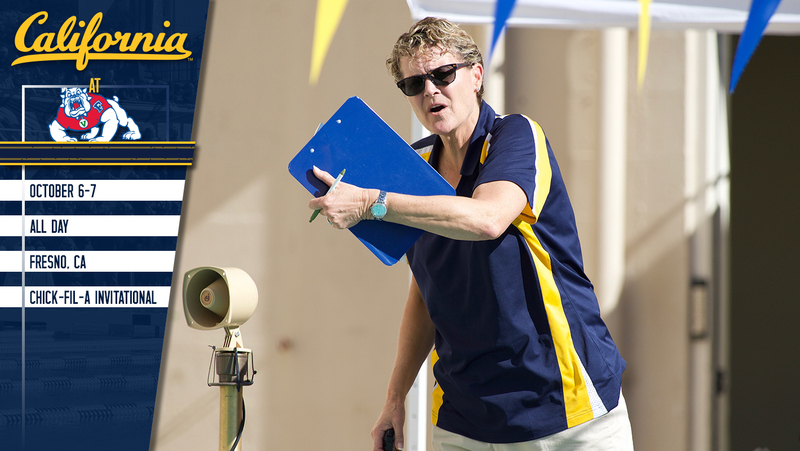 A trailblazer in her profession, Teri McKeever has directed Cal to four NCAA team championships during her tenure. Since she first arrived on the Cal campus as the Golden Bears' new women's swimming & diving head coach in 1992, Teri McKeever has built a legacy as one of the most successful and innovative leaders ever in the sport. Yet despite a long list of accolades and accomplishments, she has shied away from personal attention, preferring instead to let her student-athletes' achievements take center stage. 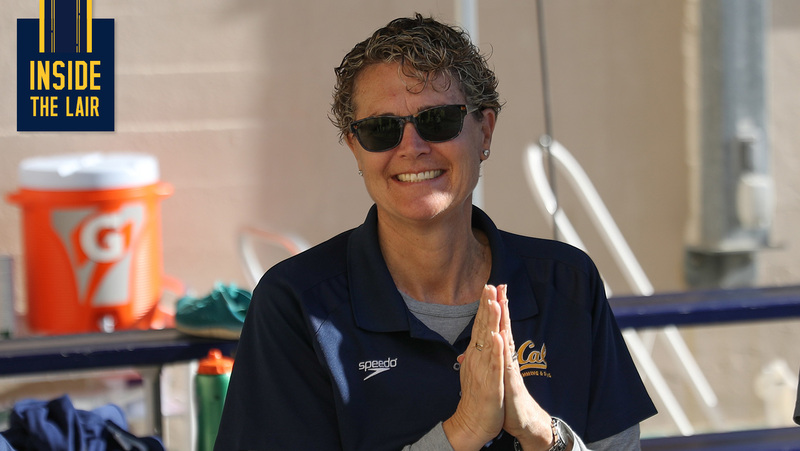 On Saturday, following Cal's 9 a.m. dual meet with North Carolina State at Legends Aquatic Center, McKeever will most certainly move into the spotlight as members of the current team, alumnae and friends of the program will celebrate her 25 years as head coach in Berkeley. I'm having trouble posting pictures from my iPhone, but definitely an exciting vibe for the first meet at Legends! Word of advice for those coming tomorrow, there is definitely less seating than at Spieker, so come early. Hopefully they add more bleachers, but for now there is only room for approximately 100-125. The big upside is that you can actually see the scoreboard. It's a little cloudy so it's easier in general, but anyone who has been to a meet at Spieker with the sun shining in your eyes will understand me. Second bonus, and I don't know if this temporary thing, is that the stands are covered. That will help if it rains today, or on a super hot sunny day. I'm going to miss Teri's celebration tomorrow, so hopefully someone can give us an update of all the past swimmers who showed up for the event. Another big bonus is that bathrooms are nearby. We don't have to run to Haas to use the facilities. Alumni at the meet included Natalie, Caroline Piehl, Melanie Klaren, Kristin Vredeveld, and Marina Garcia. Still waiting for the official report & detailed meet stats, tho did learn of the final results: 164-84 in favour of Bears! For reference, Furdettes had won 170-77 v. Oregon State yesterday, winning every event, with generally faster times than our women. LSJU also pulled off a dominating 189-104 tally v. NC State this afternoon. Have they announced team captions for this year? Pretty sure the AZ schools visit Berkeley this season (per Cal website). Will be a good chance to see both the M/W teams in action. "Going to the meet in Genoa gives Kathleen another opportunity to swim against high-level competition," said Cal head coach Teri McKeever. 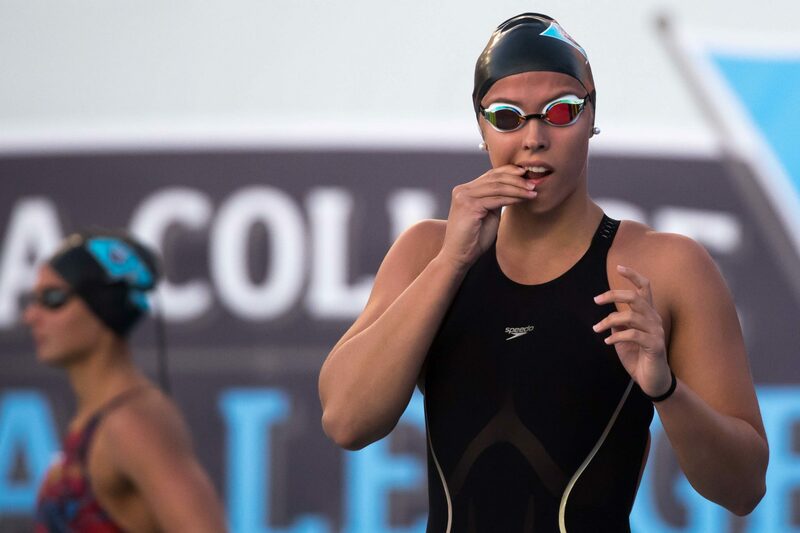 "The event is in short-course meters, so it offers a bit of a change from the collegiate season, while providing her with a new experience in an international setting. The meet also happens to fall within a break for our team between dual meets, and Kathleen was able to get ahead on her schoolwork to make the trip possible." 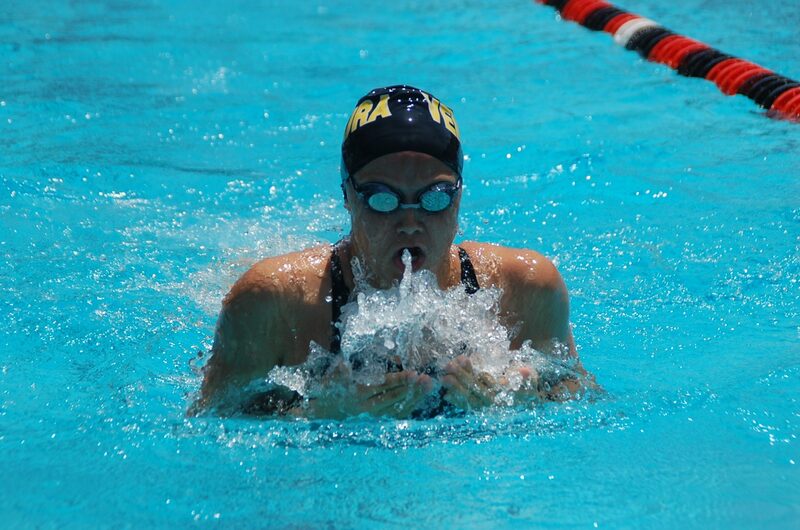 Baker is entered with a busy schedule and will race the 50, 100, and 200 back, plus the 50 fly, 100 fly, and 200 IM. Thleen making waves over in Northern Italy! Her 2:01.68, swam unrested, now marks her as the 3rd fastest American ever in this event (200m Back, SCM), and #13 all-time globally! Behind only #4 Missy (2:00.03 AR - Berlin World Cup, Oct 2011) & #9 Courtney Bartholomew (2:01.33 - Indy, Dec 2015), but ahead of #15 Lizzie (2:02.16 - Atlanta, Dec 2011). Little Bean's best, prior to today's prelims & finals, was a 2:04.25 (Singapore, Nov 2014). 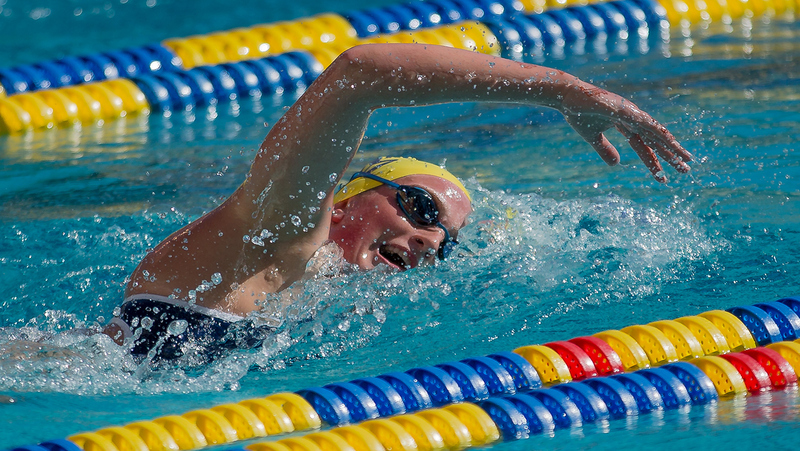 American veteran (& Cal Swim alum) Madison Kennedy took out a 17-year old Meet Record on day 2 of the 2017 Nico Sapio Trophy in Genoa, Italy one of a slew of records at both the senior and junior level that fell on Saturday. Kennedy swam 24.33 in the 50 free final to win gold. While that's half-a-second slower than her best time, it's also half-a-second faster than she swam in Bolzano last week. It dips just under the old Meet Record held by Germany's Sandra Volker from the 2000 edition of this meet. Volker won 3 Olympic medals at the 1996 games in Atlanta and was the 1997 World Short Course Champion in this same event. 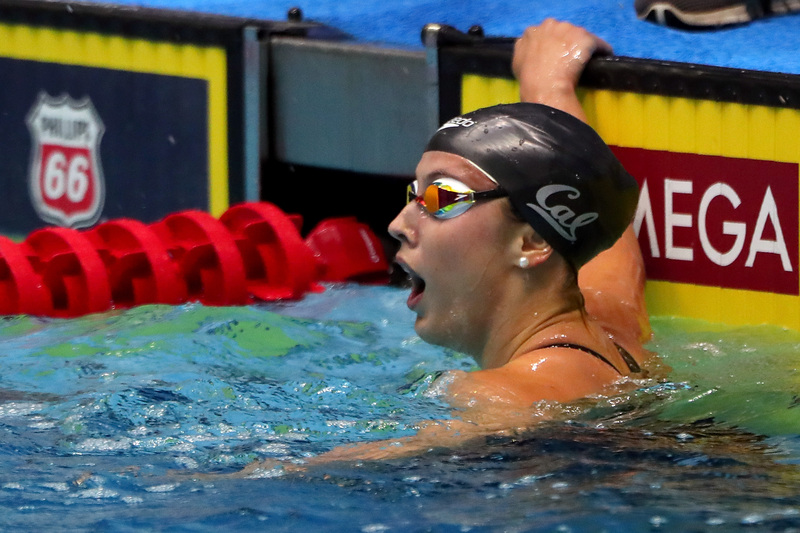 American Kathleen Baker won the women's 100 back by two-and-a-half seconds in a time of 56.67. Her countrymate Helen Moffitt took 2nd in 59.33. Baker broke a Meet Record in the 200 on Friday, but came up two-tenths short of Natalie Coughlin's mark in this event.